Be aware of the Facebook scam which is using Stephanie Mcmahon and John Cena. The scam is titled “[BACKSTAGE LEAKED VIDEO] OMG! Look What Stephanie Mcmahon Asking John Cena”. The “[BACKSTAGE LEAKED VIDEO] OMG! Look What Stephanie Mcmahon Asking John Cena” scam is luring unaware users to a malicious website which is hosted on campertrailersbrisbane.com. The hoax is using the victims to gain likes and shares on the malicious domain. Once the user lands on the “[BACKSTAGE LEAKED VIDEO] OMG! Look What Stephanie Mcmahon Asking John Cena” page. The user will be forced to share the malicious scam to their Facebook timeline. This will allow the Facebook scam to go viral in a very short time. Please be aware of the “[BACKSTAGE LEAKED VIDEO] OMG! 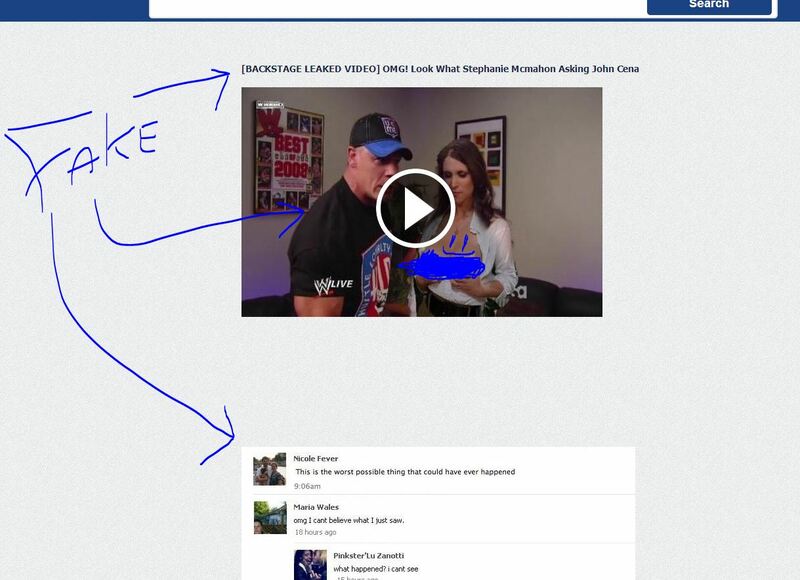 Look What Stephanie Mcmahon Asking John Cena” scam as there is no video. The hackers try to earn a revenue via the “[BACKSTAGE LEAKED VIDEO] OMG! Look What Stephanie Mcmahon Asking John Cena” scam by using malicious surveys on the website. They will claim that the video is locked or they will force the user to download a new update for their computer. Which is a virus. If you see this “[BACKSTAGE LEAKED VIDEO] OMG! Look What Stephanie Mcmahon Asking John Cena” message on the Facebook timeline of your friend, then do warn them that it is a virus. Check your computer for malware and recheck your Facebook security settings and Facebook application settings.